Beautiful spring day at Miller Park yesterday. We're hoping to see our crowds increase as the temperature starts to rise. Nice crowd yesterday[: an even dozen. We all loved helping Gail Jerge celebrate her birthday at Miller Park on Wednesday. She's a very good pointer, one of our most dependable players, rarely missing a session, and just an all-around joy. 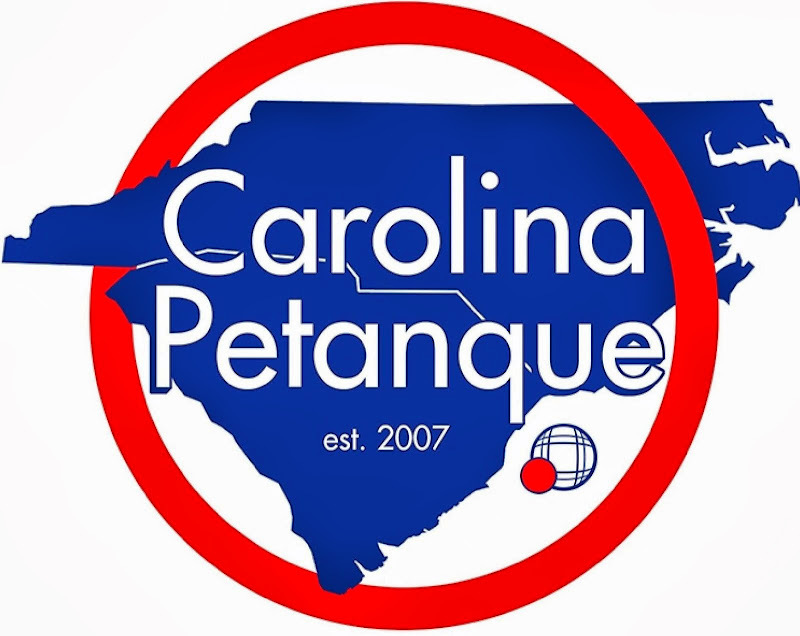 Carolina Petanque had two teams at the SE Regional Men's Triples. The team of Danny Daniels, Don E. Baker, and Rick Sweeny made the Concours but lost in the quarter-finals. The team of Marc Quilici, Juan Hernandez, and Gary Jones lost two of three in morning qualifying, but won all three games of elimination play to win the Consolante. Beautiful day for ducks-- and petanque!